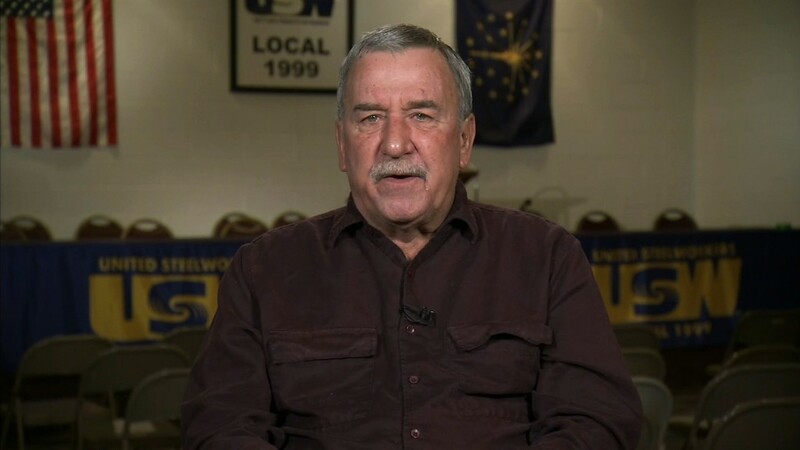 The Indiana union leader attacked by Donald Trump in tweets says he has no regrets about calling the president-elect a liar for his claims about saving jobs at Carrier. "He didn't tell the truth. He inflated the number, and I called him out on that," Chuck Jones, the president of Local 1999 of the United Steelworkers union in Indianapolis, told CNN's Chris Cuomo on "New Day" on Thursday. He conceded that his choice of words "wasn't the best." Jones told CNNMoney and other media outlets earlier this week that Trump was "lying his a-- off" when he claimed he had saved 1,100 jobs at Carrier. In fact, only 800 factory jobs were saved. The other 300 were white-collar administrative and engineering jobs at a different Indianapolis facility, positions Carrier never planned to ship to Mexico. The company still plans to shift some work building fan coils from the Indianapolis plant to Mexico, which will cost about 600 jobs, despite Trump's deal with Carrier. Trump said on Twitter on Wednesday night that Jones "has done a terrible job representing workers. No wonder companies flee country!" He added that "If United Steelworkers 1999 was any good, they would have kept those jobs in Indiana. Spend more time working-less time talking. Reduce dues." On Thursday, Jones said that when Trump wrongly said 1,100 jobs would be saved, it led some plant workers to believe that their jobs were safe -- workers who are worried again now that the true job figures are known. Jones said he is grateful that Trump got involved in negotiations with Carrier and saved 800 jobs. And he said he's not particularly concerned with threats he's received since his dispute with Trump. Some news organizations reported on Twitter on Wednesday that he has received death threats. "I've been doing this job 30 years. I had a lot more serious threats than people are making now," he said. "I have a thicker skin than I did many years ago. Everybody has a right to their opinion. I'm not overly upset about it." Jones told CNNMoney on Wednesday that Trump had only "halfway delivered" on his promise to save jobs at Carrier, and that "we expect you go back and keep all the jobs." On Thursday, he said he's worried about the future of the 800 jobs that Carrier has agreed to keep in Indianapolis. "I don't know what their long-term plans are," he said. "I know their plans are to invest $16 million in the facility in the next two years. That's going to be some automation. And automation is going to mean less people."